The Aldwarke North Bridge spans the Sheffield to Rotherham railway line and links the north west of TATA Steel’s Aldwarke site to the road network. Erected in 1963, the bridge required extensive maintenance of its paintwork to remain structurally sound and operational, as well as the removal and replacement of its existing coats of lead-based paint with a modern alternative. 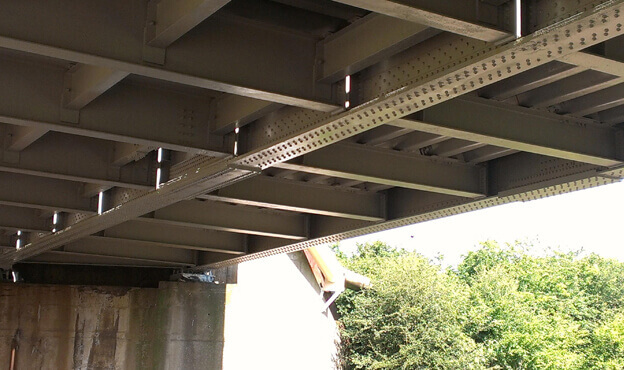 The work required the Aldwarke North Bridge to be completely refurbished, including the cleaning, structural and steel paint repairs and the repainting of the remainder of the bridge. The works required scaffolding to fully encapsulate the bridge on its under-slaw due to the painting and blasting of existing lead based paint that coated the entirety of the structure. The outdated lead paint was to be replaced with a modern 3 coat system that would greatly improve its resistance to weather and pollution, as well as reduce the need for further maintenance. 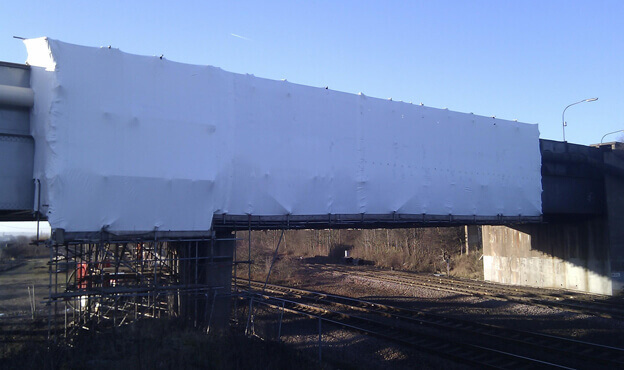 Works also included removal of redundant services and working over live Network Rail lines, so maximum efficiency and safety during the works were of paramount importance. Using our expertise in working with live sites in the rail sector, Spencer was well placed to carry out these works to the maximum safety and efficiency standards, working closely with both the client and Network Rail to ensure minimum disruption to the work of both parties. Our in-house design team created a complex scaffolding system to encapsulate the bridge without hampering the live track beneath, and the whole project was carried out with zero accidents. 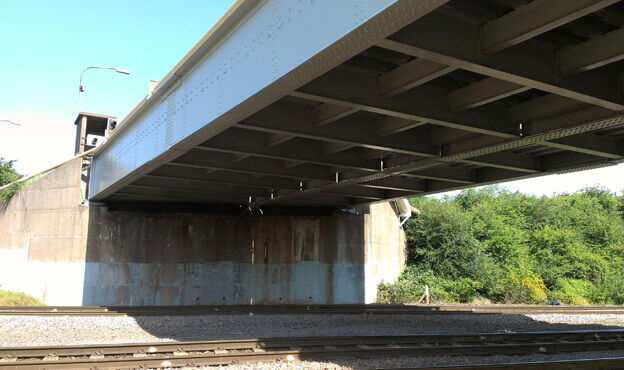 The outcome of the refurbishment of the bridge included a smart and aesthetically pleasing design whilst ensuring the bridge’s structural integrity, which left our client extremely happy with the end result.